Mark August 26th, 2032 on your calendar, folks. Ukrainian astronomers have just detected a 1,350-foot-wide (410 meter) minor planet that’s headed our way. The impact risk is minimal, but it’s now the most serious near-term celestial threat to face our planet. I tend to shrug off this sort of stuff when I encounter it, but the sheer size of this asteroid, along with its near-term potential, made me curious. So I headed over to NASA’S Near Earth Object Program website to see if it was added it to its Torino Scale — a regularly updated chart that designates asteroid impact risk by category. Not only was it there, it was at the top of the recently observed list — and all lit up in green, indicating that it's something we should probably keep our eye on. And indeed, the asteroid, which was initially discovered by astronomers working at the Crimean Astrophysical Observatory in southern Ukraine, has now been confirmed by other scientists in Italy, Spain, the UK, and Russia’s Siberian republic of Buryatia. But it is considered potentially hazardous because its orbit will bring it closer than 7.5 million km from Earth’s orbit. In this case, TV135 could come as close as 1.7 million km. Size also matters when it comes to risk assessment. If it were to hit us, it would unleash 2,500 megatons of TNT — 50 times greater than the biggest nuclear bomb ever detonated. The newly discovered asteroid, named 2013 TV135, now joins 2007 VK184 as the only Torino Scale 1 objects known to astronomers. Asteroid VK184, which is 603 feet (184 meters) in diameter, has a 1 in 1,750 chance of hitting the Earth between 2048 to 2075. Thankfully, the risk posed by TV135 is extremely low — but not impossibly low. 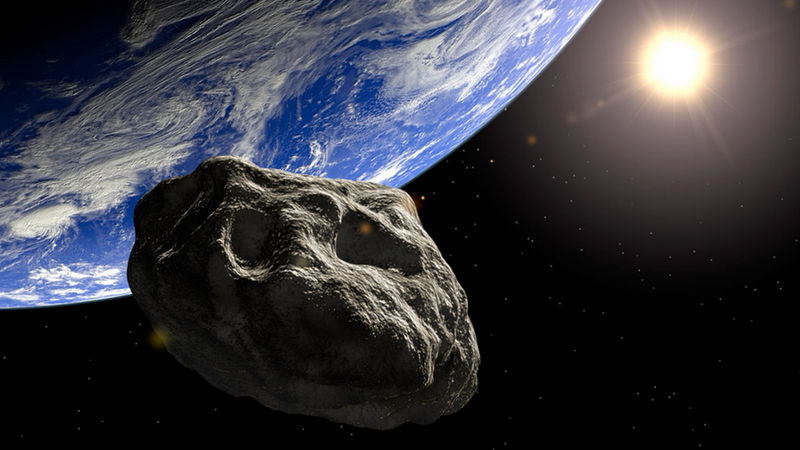 Current best estimates show that it has a 1 in 63,000 chance of colliding with Earth in 2032. That means it has a 99.9984% chance of missing the Earth. This number could either go up or down as new measurements are made over the coming years. UPDATE: A new estimate places the chance of impact at 1 in 169,492,000.